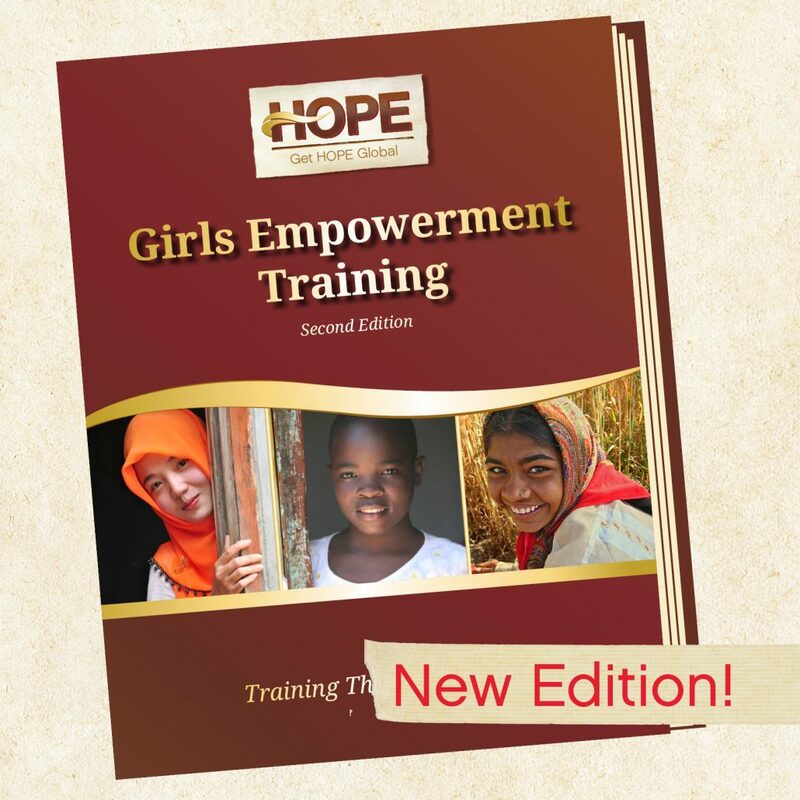 The Get HOPE Global Curriculum Team is excited to release a newly revised Second Edition of Girls Empowerment Training. This updated resource still offers a highly interactive training program that includes a variety of teaching activities coupled with weekly Bible character lessons. However, the new edition includes some content modifications that increase clarity and strengthen the learning experience. We have also edited for improved consistency and readability. Current owners of this curriculum are invited to contact us for information about how to download a free copy of the new edition. We pray that Girls Empowerment Training will continue to be a powerful tool to offer at-risk girls a voice, a choice, and a chance for a better life. ©2012 Get Hope Global. A 501(c)3 Organization. All Rights Reserved.